Be sure to let Mike know exactly what you're ordering and don't forget to include your mailing address. Some of the greatest love songs of all time came out of the early 1940s and the call to arms. These songs served as an inspiration to the soldiers and the loved ones they left behind. Mike has released a tribute to the men and women who served, fought or died in WWII. A true trip down music's memory lane. 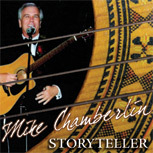 Mike's newest release is as much about story telling as it is about singing. Listen to stories about his relationship to the "Wizard of Oz," and a story about a song that's been traveling with him for more than 40 years. Classics, plus spirituals make up "Storyteller," a CD that benefits the Alzheimer's Association. 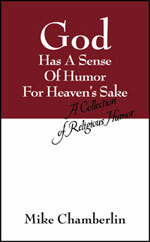 "God Has A Sense Of Humor For Heaven's Sake" is a 'divine' look at religious humor. Perfect for the whole family to read. 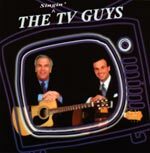 This disc features classics like "Take Me Out to the Ball Game," as well as original compositions like Chris Coraggio's "It is What it is" and Mike Chamberlin's "The Whisper." A must-have for the holiday seaons, this disc features a duet with CNN's Christi Paul of Mike Chamberlin's original song "Let's Finish What He Started," as well as traditional holiday songs like "Silent Night," and other Chamberlin originals, including "Christmas is Coming" and "Christmas Came Early This Year." Have a question about a CD? 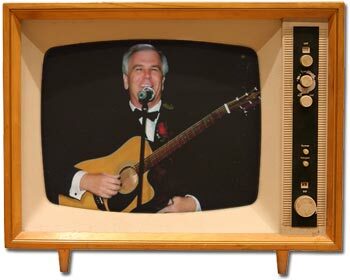 Want to book The Singin' Guy? Click here to contact Mike now!